Are you a budding entrepreneur? Do you wish to leave your day job behind, travel the world and never look back? If this sounds like a fantasy to you, you’re probably right. Or are you? Do you realize that countless numbers of people have already done just this and are living the dream life? The only way you are going to achieve this is by starting some kind of online business where you don’t need to work in any particular location. You should be able to just have your laptop and an internet connection. You can work in coffee shops, your backyard, in a hotel lobby – the options are endless. If you have started a blog already, then you’re probably getting some traffic. If you are not, there are two pieces to the puzzle that need to be addressed. Your on-page and off-page SEO will determine your traffic. Good content is not going to rank you. The sites with massive domain authority (through links) will dominate your site. 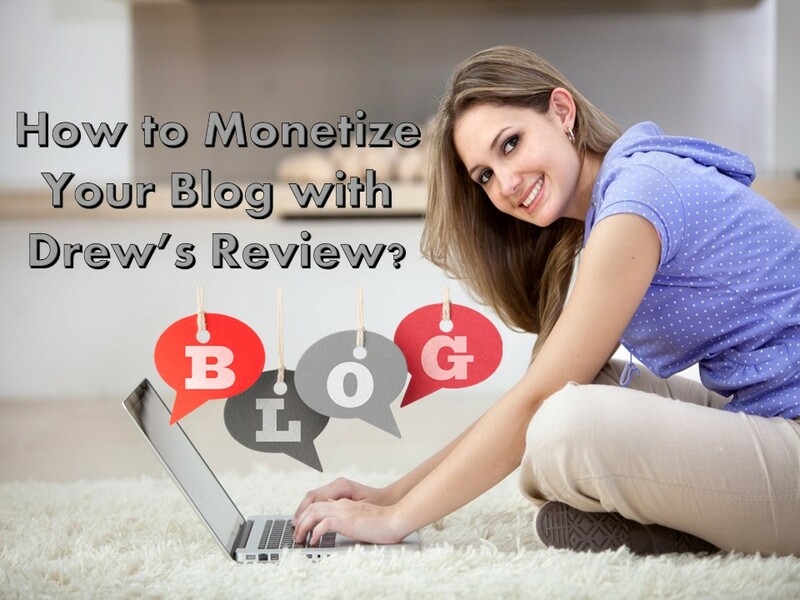 But this article is not about SEO, but how you can monetize your blog so that when you start to get traffic, you can cash in on those visits. For those that are not familiar with starting a blog you can visit Drew’s Review tips on starting a blog. Blogging doesn’t have to be difficult and on this site you’ll get step by step instructions on how to set it up. Make sure that your blog stays relevant to its topic. Don’t deviate topics unless you can somehow spin it. For example, if you have a blog about dentistry and you want to sell a digital marketing product, pitch the product as something that dentists can use to improve their business. You can build in relevancy with almost anything but don’t overdo it. For your affiliate links, also make sure if you have any banners that they are very targeted. You can easily bury links such as above in text, but any images have to closely match your content. If you have images of something completely unrelated, it will turn off the visitor and you’ll lose a potential commission. I am sure you have heard that phrase – the money is in the list. This couldn’t be more true. You should get as many leads as you possibly can and the best way to do this is to give away something for free in exchange for their email. When you send emails, do not send offers in each email. The best format is tip,tip,tip, offer. Where the first three emails are relative tips, and the 4th email is an offer based on those tips. You are essentially warming up your subscribers and by the fourth email (if you have managed to capture their attention) then when an offer is presented to them it actually makes sense. In many cases if you have kept their interest they are even expecting an offer. There’s an abundance of blogging courses available online today and you can definitely improve your site’s potential through the guidance of a good coach. However, you have to be careful if you’re going to invest money in some kind of training program. You could read reviews of people that have purchased the product. If these reviews are on the sales page though – forget it. They are most likely fake as the vendor can put anything they like on their page or pay someone to support their product. For an honest review, check out Drew’s review site, where he actually buys the product and then gives an honest review of it. In most cases he will take you through the members’ area where he shows you the course content so you can see first-hand what it’s all about. Your blog should never, ever look like a sales page. It should look natural and you need to find a fine balance between content and advertising. One of the things you can do is to ask opinions from friends or even strangers about it. Ask them if the feel the blog looks like something sincere or if it weighs too heavily on advertising.